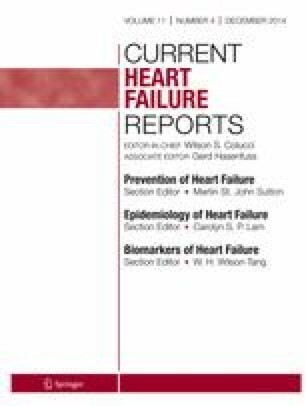 Heart failure (HF) is a public health problem of global proportions afflicting more than 25 million patients worldwide. Despite stable or declining per capita hospitalization rates in the USA and several European countries, there are over one million hospitalizations for HF annually in the USA, with similar numbers in Europe, accounting for 6.5 million hospital days and the majority of the approximately $40 billion spent each year on HF-related care. Moreover, clinical trial data suggest that post-discharge survival and readmissions have largely remained unchanged. Thus, understanding geographic and ethnic variations in HF is essential to formulating public policy at the local, national, regional, and international levels and setting the agenda for basic, translational, and clinical research endeavors. This paper aims to describe regional and ethnic variations in patient characteristics, management, and outcomes in hospitalized HF. Andrew P. Ambrosy declares that he has no conflict of interest. Mihai Gheorghiade has received compensation from Abbott Laboratories, Astellas, AstraZeneca, Bayer Schering Pharma, Bayer HealthCare, Cardiorentis, CorThera, Cytokinetics, CytoPherx, DebioPharm, Errekappa Terapeutici, GlaxoSmithKline, Ikaria, Intersection Medical, INC, Johnson and Johnson, Medtronic, Merck, Novartis Pharma, Ono Pharma USA, Otsuka Pharmaceuticals, Palatin Technologies, Pericor Therapeutics, Protein Design Laboratories, Sanofi-Aventis, Sigma Tau, Solvay Pharmaceuticals, Sticares InterACT, Takeda Pharmaceuticals, and Trevena Therapeutics for service as a consultant. Ovidiu Chioncel has received research support from Novartis, Servier, Abbott Laboratories, Philips, and Vifor, and has also received compensation from Novartis, Servier, and Philips for service as a consultant. Robert J. Mentz receives research support from Amgen, AstraZeneca, BMS, GSK, Gilead, Novartis, Otsuka, and ResMed; honoraria from Thoratec. Javed Butler has received research support from the National Institutes of Health (NIH), Health Resources and Services Administration, European Commission, Amgen, Medtronic, Novartis, and Otsuka and has received compensation from Amgen, Bayer, BG Medicine, Cardiocell, Celladon, Gambro, GE Healthcare, Medtronic, Novartis, Ono Pharma, Otsuka, Takeda, Trevena, and Zensun. Butler J, Fonarow GC, Gheorghiade M. Strategies and opportunities for drug development in heart failure. JAMA J Am Med Assoc. 2013;1–2. doi: 10.1001/jama.2013.1063.